The recipes here are our best, the ones that have remained popular with us over the years, and some new favourites. 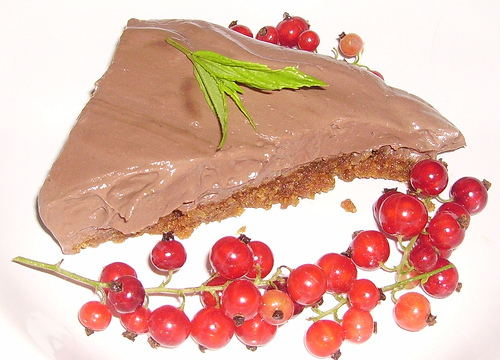 The pictured cheesecake uses the chocolate mousse recipe from the chocolate page on a biscuit and marg base (though a base of food processed nuts and dried fruits is very good as well). 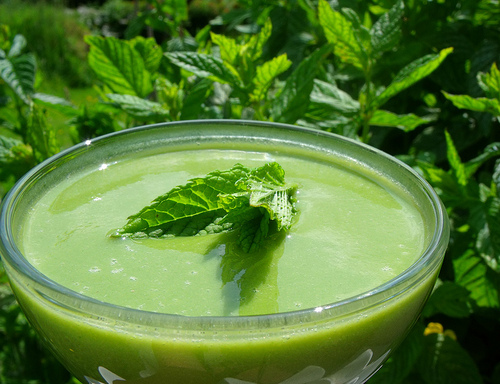 Below is the minty pea and nettle soup from the soups page.